Once purchased, print off a copy of your proof of purchase and bring it with you to Grand Taste of the Culinary Arts. Payments must be made no later than 24 hours before the event. 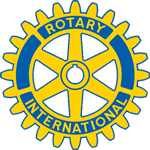 Thank you for supporting Rotary!